The inquiry is one year into a two-year mandate. Crown-Indigenous Relations Minister Carolyn Bennett speaks during a news conference on Parliament Hill in Ottawa on Oct. 6, 2017. 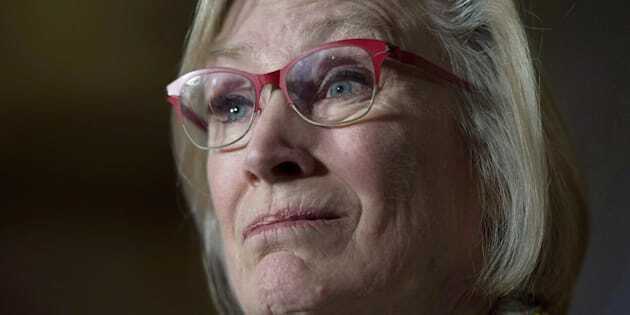 OTTAWA — Crown-Indigenous Relations Minister Carolyn Bennett is keeping mum on a call by First Nations chiefs for the ouster of the head of the inquiry into missing and murdered Indigenous women and girls. A special gathering of chiefs hosted by the Assembly of First Nations approved a resolution calling for the federal government to reset the inquiry by replacing the chief commissioner, Marion Buller. It also suggested a new head should be named through a process of full engagement with Indigenous survivors and families. It is now up to Prime Minister Justin Trudeau to act, said Sheila North Wilson, the grand chief of an organization representing First Nations in northern Manitoba who has been a vocal advocate for missing and murdered Indigenous women for years. 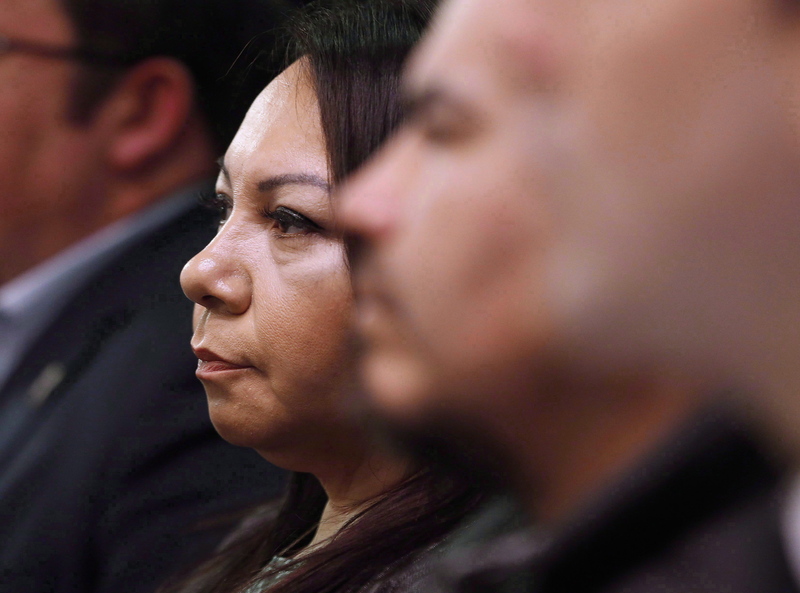 Sheila North Wilson, grand chief of Manitoba Keewatinowi Okimakanak, listens to an RCMP announcement at a press conference in Winnipeg in 2016. "Get on with it and replace the lead commissioner and reset the inquiry,'' North Wilson said in an interview. Bennett's office would only say Thursday that the Liberal government is committed to putting an end to the ongoing tragedy and to ensuring families get the answers they have waited for. It also Ottawa has yet to receive a formal request for more time from the commission, which is tasked with examining root causes of violence against Indigenous women and girls. "The commissioners' mandate is clear — families must be at the centre of the commission's work and they are committed to find culturally sensitive and trauma-informed ways to ensure this,'' the office said in a statement. AFN National Chief Perry Bellegarde said he takes his direction from the chiefs that make up the assembly, adding it will be up to the federal government to determine next steps. The inquiry, which comprises four commissioners including Buller, is now more than a year into its two-year mandate, but says it needs more time and money to do its work. It has a current budget of $53.8 million. For her part, Buller addressed the chiefs at the AFN meeting on Thursday, where she outlined some of the challenges the commissioners have faced. North Wilson said Buller failed to acknowledge families who were loudly crying during the chief commissioner's remarks.